Are you looking for Osteopathy or Complementary Therapy to improve your level of health, vitality and wellbeing? Do you want a professional practice with highly experienced practitioners and therapists, supported by friendly and well trained staff? WeaverHouse is one of South Cheshire’s leading Osteopathic and Natural Health Care Practices, offering a comprehensive range of therapies tailored to your exact requirements. We provide holistic therapies, including Podiatry/Chiropody, Counselling, Reiki, Herbalism, Allergy Testing, Hypnotherapy, Holistic Therapy including Remedial Massage, Nutritional Therapy, Homeopathy, Acupuncture; Pilates and Yoga, Indian Head Massage, Reflexology, Aromatherapy, Hot Stone Massage, as well as Osteopathy and Physiotherapy. Please contact 01270 629933 or info@weaverhouse.com for a full price list or any questions you may have. 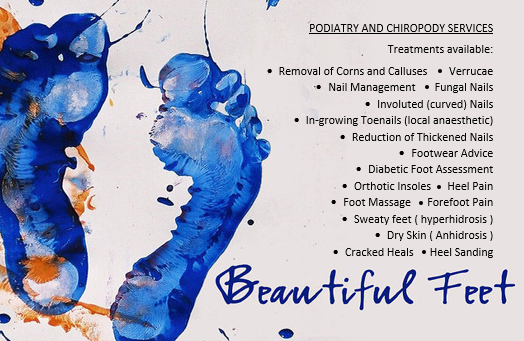 Our treatments are designed for all types of people, whether you work in a physical or sedentary job and no matter what your age or current level of health. Some people choose WeaverHouse when they are in poor health or pain, others visit our Osteopaths and therapists to maintain a vibrant and pain free life. We are proud to be a member of the Institute of Osteopathy. For more information about how Osteopathy can work for you, please click on the Icon. Whatever your reason for seeking Osteopathy or one of our therapies, please contact WeaverHouse today to find out more on 01270 629933. Did you now…We also run WeaverHouse Canine, a specialist Osteopathy service for your adored dog. Initial consultation and treatment: £47 Follow up treatments: £47 Special Limited Offer: Free back check (15 minutes) Please contact WeaverHouse for more details of the costs for complementary therapies, Yoga & Pilates. Cranial Osteopathy at WeaverHouse Cranial Osteopathy is a refined and subtle type of osteopathic treatment that encourages the release of stresses and tensions throughout the body, including the head. It is a gentle yet extremely effective approach and may be used in a wide range of conditions for people of all ages, from birth to old age. Cranial osteopaths are trained to feel a very subtle, rhythmical shape change that is present in all body tissues. This is called Involuntary Motion or the Cranial Rhythm. The movement is of very small amplitude; therefore it takes practitioners with a very finely developed sense of touch to feel it. This rhythm was first described in the early 1900's by Dr. William G. Sutherland and its existence was confirmed in a series of laboratory tests in the 1960's and '70's. Tension in the body disrupts the cranial rhythm. Practitioners compare what your rhythm is doing to what they consider ideal. This shows them what stresses and strains your body is under at present, and what tensions it may be carrying as a result of its past history. It also gives them an insight into the overall condition of your body, for example if it is healthy, or stressed and tired. As with more well known forms of osteopathy, many symptoms respond well to treatment and the osteopath treats the person as a whole, not just the presenting problem. Cranial osteopathy is a popular choice for babies and infants as well as senior patients where a less invasive approach is preferred. Contact WeaverHouse for more details about cranial osteopathy and whether it could be a suitable therapy choice for you. Contact us today for details to improve your health level. I just wanted to let you know how much I REALLY appreciate what you do for me. I will certainty keep coming back for treatment for years to come! I look forward to my next treatment; with all the jazz I’m doing my neck has been so stiff!